26 cm  p. : chiefly col. ill.
Uh-oh! He has fallen from his nest, and with a bump he lands on the ground. Where is his mummy? With the help of his new friend Squirrel, Little Owl sets off in search of her, and meets a sequence of other animals. Yet while one might have his mummy's big eyes, and another her pointy ears, they are simply not her. 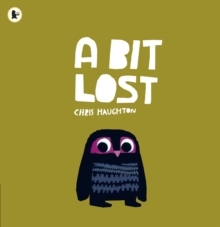 Chris Haughton's striking colour illustrations follow Little Owl on his quest. Which of his new friends will lead him back to his mummy?